SEO is the holy grail of free traffic to your site. Every website owner wants free traffic. You do, or you wouldn’t be reading this article. 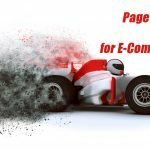 Ecommerce sites present unique challenges for ranking. There may be 100’s or 1000’s of sites that have the same merchandise. Your site needs to stand out in order to rank well in the search engines. Here is the way to create a strong foundation for search discovery in seven easy steps. Admittedly SEO is a time consuming and fairly complex effort. It can be confusing to know where to start. 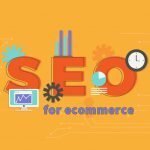 This article covers exactly what you need to do in order for your site to be optimized to fit SEO best practices. Once you’ve put the basics in place, it will be easier to take on other efforts to drive the free, organic search traffic you’re craving. SEO is an enormous topic, and free advice is everywhere. Some of it is good; some of it – not so much. Where do you start? Getting your web architecture, navigation and content set up correctly must be your first effort. 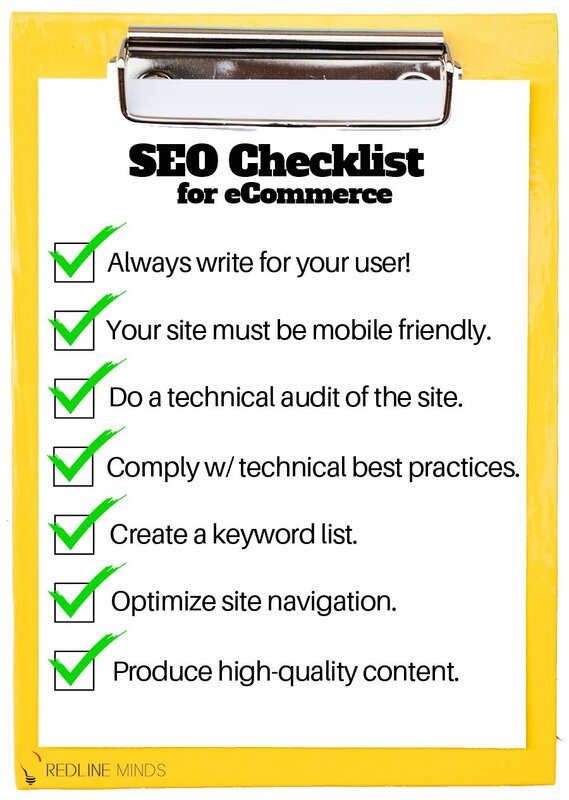 To do this, we’ve put together a checklist of items that need to be handled correctly for good technical SEO. Follow these 7 steps and your site will be set up to rank well. Step 1: Always design and write for your user! Google’s intent is to provide the best possible user experience. If you trying to game the system, you likely are not focusing on your shoppers. Eventually, that will backfire. Not may, but will! Don’t create for robots. Both site visitors and Google are looking for high-quality information. After 17 years I can say that sites and content that has been well done, to begin with usually holds up and stands the test of time far better than shoddy, or black hat work. Additionally, sites that are designed well for user experience also convert more visitors into buyers. Either way, your business wins. Step 2: Your site must be mobile friendly. This is no longer optional. Last year Google moved to mobile first indexing. What this means is that Google looks to your mobile experience first, and if it is poor, this may negatively impact your desktop rankings too. Frankly, in a day when many websites get 50% or more of their traffic from mobile devices, creating a wonderful mobile experience is really a no-brainer. Just do it! Step 3: Have a technical audit done on your current website. It is money well spent to pay for an SEO audit of your website. An audit will point out areas that need attention, both in the technical structure of your site and to a limited degree, content issues. Once you know what needs to be fixed, you can get started with the process of improvement. Why do I recommend paying a professional instead of doing it yourself? 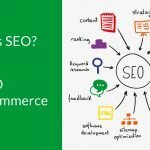 There are many tools available to perform an SEO audit, but nearly all the tools designed to audit fail to rank the importance of their recommendations. In addition, sometimes the tool recommendations are wrong. A seasoned pro will know what to do with the information, and also will use multiple tools, as well as experience, to make good quality recommendations. Step 4: Make sure your website is up to current technical standards. There are a number of best practices that should be incorporated into the technical aspects of your website. Odds are good if your current site design is more than three years old, you are missing some, or all, of the required attributes. All of these refer to the structure of your website. We’ll discuss your content in a minute. Responsive design. A responsive website is one designed to look great on any size screen. Making it smaller is nearly never enough to provide for a good experience. It is often necessary to crop or change images, alter the way text is displayed, shift navigation to a hamburger menu, and even omit some areas of content to ensure your site is super easy for shoppers to navigate. Speed. Your goal should be for your page to load in under 2 seconds. This is hard to achieve on mobile but is absolutely where the performance bar is set. On a desktop, if you increase the load time from 2 seconds to 8 seconds, your bounce rate will rise by 33%. Google has a heavy emphasis on page speed as an SEO factor. That said, like every other rule on this page, user experience rules. Ultimately how well people respond to your page determines success. But do optimize or streamline your content to keep your site lightning fast. Clean code. I don’t want to get too technical on this, but the code used on your template should be concise and minified where necessary. This helps in two ways – speed, and ensuring there is more content than code on the page. If the code to content ratio is too high, Google may assume the page is thin on content and not index it. Canonical tags. Every website has more than one URL version for each page. There may be both secure and unsecured (http or https), www and non-www (www.website.com or website.com). A canonical tag is built into your template to tell Google which is the preferred version. This prevents these pages from being seen as duplicate content. Other types of page URLs that may require canonical tags are filtered results and pagination. Structured data. Structured data are tags within the page template that define specific content such as product name, price, SKU, and review ratings. This will all impact how your page shows in search results. The information displayed via structured data is known as a rich snippet. It also helps identify that page as a product page. Metadata and social metadata. These are data fields, not visible to page visitors, that are used when links to your page are shown elsewhere. 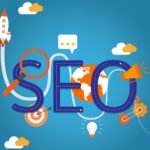 In many search engines, including Google, your meta page title and meta description are typically used for the snippet shown. Note Google sometimes ignores your meta description in favor of a snippet of page content it feels is more relevant to the query. You can’t control this and it’s usually a good thing. Social metadata is what displays when someone links to your page from social media. This can be different than page meta information, and on some CMS systems, you can control this information fully. Social media sharing buttons. Make sure it is easy for site visitors to share your content and product across the web. This is where social metadata is important as this will determine how these shared links appear on social media. You want to be sure the meta information shared about a page is compelling enough to encourage click-throughs. XML sitemap. This sitemap tells the spiders which pages you want to be crawled. This is separate from a sitemap for your site visitors, which is optional. The XML sitemap is what you submit to Google Search Console and Bing Webmasters. Step 5: Create your base keywords list. Keywords are those words that tell the search engines what your content is all about. Historically, the recommendation was to list the top 50, 100 or more keywords that would define what is on your site and focus efforts there. But the truth is that if you only track these top words, you will miss 99% of the keywords your site will likely rank well for. Plus the core phrases are usually very difficult for a new or small business to rank well for. Still, this list of core words is important to your efforts to rank well. Remember step 1 above? Design and plan for the user! Start by creating a list of the terms a shopper will use to find the items you sell. Study your competition. What words do they use for similar products? Pull all these words into a list. Search each term in Google. What results do you see? Are they relevant to your business? If not, it’s probably not a good keyword for you to use. Also, pay attention to Google’s suggested related terms. One or more may also be useful to your business. Use a keyword tool to determine which of your keywords, and just as importantly, the variation of those keywords generate the highest monthly traffic. Google AdWords does have a free keyword tool, but in the past couple of years, this tool has become less specific. I have found the use of a paid tool provides so much more information that it is worth having one of these more sophisticated tools. Personally, I use SEMRush, a suite of tools that begins around $100 a month. Serpstat is very similar and starts at a lower price. Moz and Raven Tools are also popular. Once you have your starting list, you will use this list to inform both the wording used in your navigation and your written content. Step 6: Optimize your navigation. Now pull out a spreadsheet and think about the most efficient way for people to find what they are looking to buy. The goal should be that no page onsite is more than 2 clicks away. Thus deep navigation trees – such as those 3, 4, 5 or more levels deep are inefficient and make it harder for people to find what they want. The more clicks required to reach a page, the lower your conversion rate will be. So what do you do when you have a large and detailed product catalog? If your SKU count is high, it is often more user-friendly to provide a system of filters for narrowing the choice on a category page to exactly what the shopper is seeking. Filters are superior to deep categorization because they allow the user to effectively create customized categories that have exactly the attributes they want. Filters are also much faster further improving the user experience. Now consider the keyword list you created above. Try to use some of the core terms on your list as category names. Don’t forget the primary rule – Plan for your user! Don’t use plurals when it is poor grammar. Choose shorter length terms over longer. But do incorporate those words where it makes sense. Step 7: High-quality content is really important. Content is king, but the quality of your content is extremely important. This is true for every word on your website. No one is going to read poorly written, boring, or low-value content. Google will gauge your content poorly when user response to it is poor. You can measure this through your bounce rate and time on page metrics within Google Analytics. Duplicate content. Ecommerce presents the unique challenge in that most stores are selling products that are sold by other merchants. Many merchants import their products using a supplier feed that inserts a basic product description. Other merchants will copy the product description from another website. The problem with both approaches is that this is duplicate content. While there is some debate over whether or not this creates a penalty from Google, the one certainty is that it doesn’t differentiate your website from your competition. Websites with unique product descriptions often convert better because better-written content provides added value to the experience. It helps build trust and authority, both key factors for both SEO and conversion optimization. Target keywords. Every page should have a target keyword. On a category or product page, this is usually the name of the product or category. For other content, such as blog posts, the use of long tail keywords, these are variants of your core keyword that contain more words, is often a better way to go. The words contained around each phrase inform the intent of the content. If you’re talking about an animal, you may use words like furry, teeth, or squeaks. If you’re talking about computer hardware you may use language such as Mac OS, Windows, USB. When talking about a child, you would use a fully different set of words. These different word sets comprise the semantic language. When you write with expert knowledge of a subject (and research will make you an expert), the semantic language will happen naturally. An added benefit of semantic language is that it adds a lot of long tail keywords to the list of keywords your page can rank for. Thus a single page can rank for many, many keywords. Google gauges context so well, you can, and will rank, for keywords not present on the page. Meta information. The meta description and meta title tags are important to your business. While they are not currently a major factor in SEO, their display in search engines is effectively marketing content. Good meta tags can influence your click-through rate from search results. A good click-through rate will help your search rankings. The tag for meta keywords is no longer in use. All you do here is inform your competitors what your keywords are. Don’t use it. There you have it. 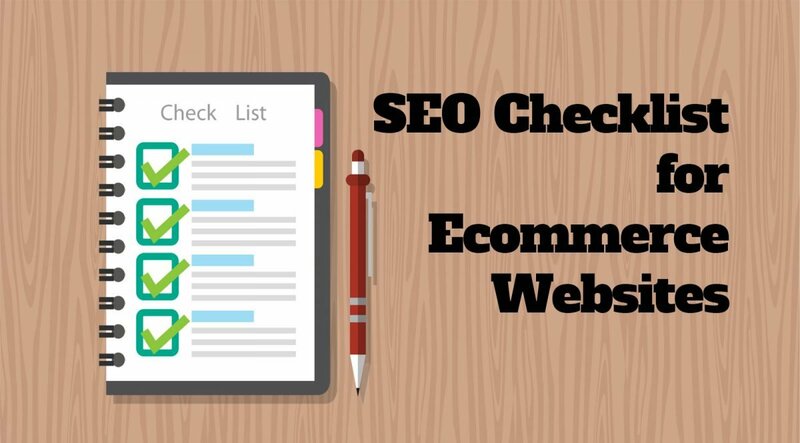 A checklist of what needs to be done correctly to set your online store up for what some call “good SEO.” This base is required, but unfortunately does not guarantee instant traffic. The days of “publish and be found” are long gone. You still need to promote and encourage sharing of your content to get the ball rolling. While this list covers 2 of the 3 “legs” of SEO, inbound links are still one of the most important factors in telling Google that the content on your site is engaging. 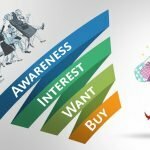 Inbound link building is not covered in this article and an activity that must be done carefully. A quick and cheap inbound linking program can cause your site to be penalized, or even delisted.